Compiled after over 12+ years of full time RV road-tripping across the USA, State Lines is an indispensable traveler’s guide to highly variable state laws and regulations. State Lines is location aware, so it can automatically show you information about nearby states. 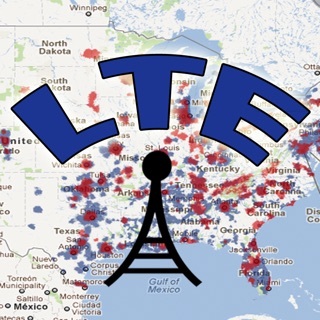 The entire State Lines database is integrated into the application, so State Lines works when you are out of cellular or Wi-Fi coverage. What restraints for my kids are required in this state? Is the sales tax lower over the next state line? Is the fuel tax cheaper here? Can I buy beer in the grocery stores? Can I overnight in rest areas? Is smoking allowed in restaurants? Can I make a left turn on red? Are helmets & eye protection required? + Quick Compare: You can pick up to three favorite data fields to be displayed on the main screen, making it easy to compare nearby states. + Custom Sorting: You can sort the state list alphabetically, by distance from you, and by your selected Quick Compare fields. If you’ve ever wanted to see what state has the lowest alcohol or fuel taxes, this feature makes it easy! + Custom Page Ordering: State Lines has seven pages of detailed information per state. You can rearrange these pages so that your favorite pages are first. State Lines is an essential application for anyone traveling around the United States - whether by RV, car, train, bike, plane, or boat. No matter how you travel, if you’re frequently crossing state lines, you need State Lines. State Lines is a growing project - by travelers for travelers - and we welcome feedback on ideas for other useful state specific information to include in future versions. Please let us know what else you would like us to track! State Lines is intended to provide an at-a-glance summarized guide to rules and regulations, and it is not an exhaustive legal reference. While every effort has been made to provide quality up to date data, no warranty for accuracy of data is expressed or implied. State Lines assumes no responsibility for how you utilize the data. Keep in mind, local regulations can often override state level rules (so while a state may not have a cell phone ban, a city may - which will not be reflected in State Lines), and laws frequently change. Always verify with the proper authorities before assuming anything. Gun Laws: Please note, State Lines has not included this feature in a long time. We recommend apps like 'Legal Heat' - which is updated regularly by the experts on this very complex topic. We will be keeping State Lines up to date with periodic updates. This is a time consuming manual research process, and we appreciate your patience and understanding if things get out of date. You can help though - if you do discover any out-of-date information in State Lines, please contact us at statelines@technomadia.com. Thanks! State Lines has been fully updated and this release is our first complete re-write since the app launched in 2010! + Quick Compare: You can now pick up to three favorite data fields to be displayed on the main screen, making it easy to compare nearby states. + Custom Sorting: You can now sort the state list alphabetically, by distance from you, and by your selected Quick Compare fields. If you’ve ever wanted to see what state has the lowest alcohol or fuel taxes, this new feature makes it easy! Change your sort order by simply clicking the sort label at the bottom of the screen to toggle between the options. + Custom Page Ordering: State Lines has seven pages of detailed information per state. Now you can rearrange these pages so that your favorite pages are first. + Quick Jump: You can now jump immediately to any page of data, without needing to flip through the rest - either use the 'Go To' button in the upper right hand corner, or hold your finger down on the screen to see the pages you can jump to. + Flexible Screen Resolution Support: State Lines now works great on all device screen sizes, ranging from the smallest phones to the largest tablets. + We added a new data field tracking the legality of Red Light Cameras. + Plus, various other bug fixes and usability improvements. This is the biggest update since State Lines was first launched into the App Store over seven years ago! If you appreciate these continued free updates to State Lines, we'd love it if you spread the word and left a review on the App Store! These updates are funded entirely by new app sales... and positive reviews help folks decide if this app is right for them. 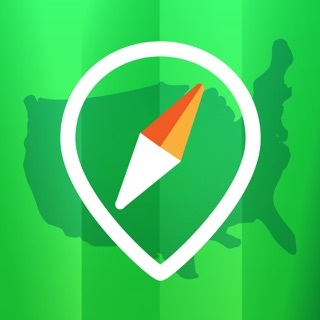 This is a very good and useful app for travelers, RV'ers, etc., providing lots of useful, helpful information concerning all 50 states, especially regarding speed limits, towing info, rest area parking, etc., etc.. The info for every state is organized consistently from state to state. I highly recommend it. I use this app frequently but when I pulled it up today to use it I can only see the center of the pages of the states. The sentences at the top and bottom are cut off. Such a shame because there is so much good info. What a nice clean interface! Handy summary of many state laws that effect travelers. Lots of useful data.